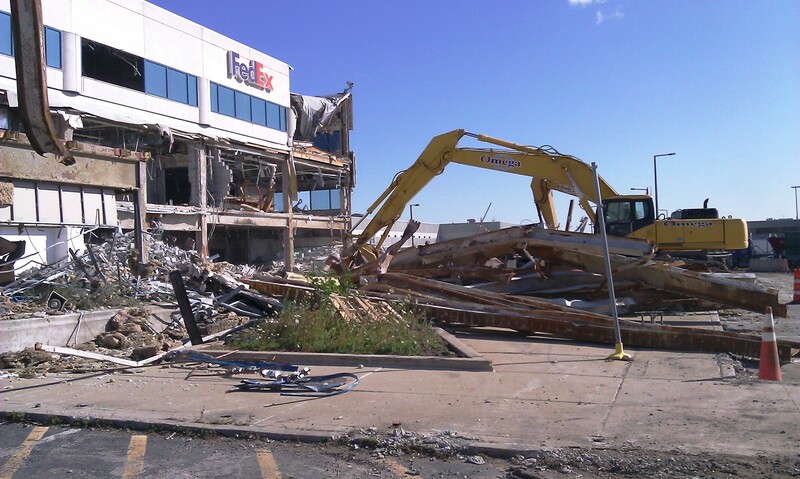 This project consisted of the demolition of a 3-story slab on grade steel & masonry building – 292,395 total square feet. The work was performed adjacent to, as well as inside O’Hare Airport flight security zone. The project included removal and disposal/recycling of equipment and building structure. Concrete slabs and foundations were recycled and used in the O’Hare Modernization project.